Sharon's charming garden in the Westwood section of Los Angeles near UCLA overflows with roses, hardy geraniums, clematis, heliotropes, lilies, fuchsia and many more of her favorite things including alliums (a plant that many of us only dream of growing!). She has dug every hole and planted every plant with a gardener's optimism and, like all fanatic gardeners, she gardens by day and reads about gardens in the evening and dreams about gardens at night. 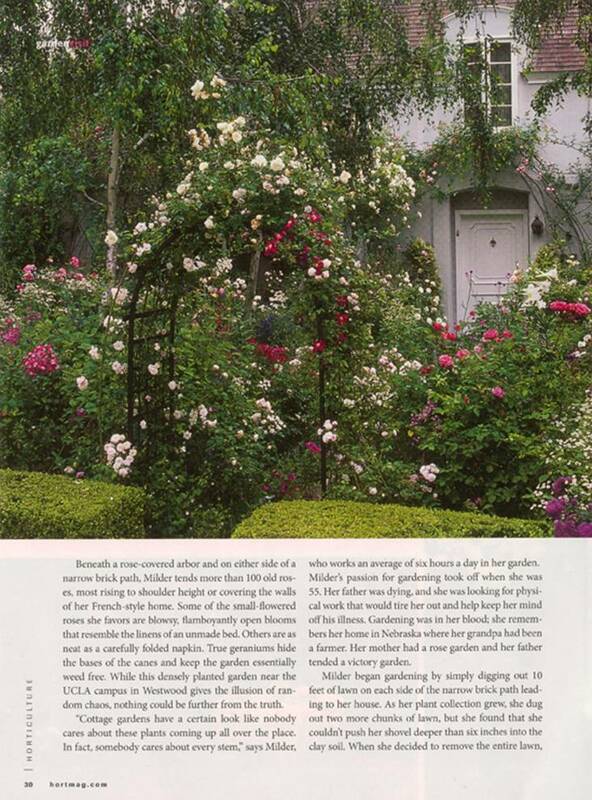 Sharon's garden has been featured on the cover of the Los Angeles Times Garden Calendar, and in several publications including Country Accents, Ladies Home Journal and Sunset Magazines as well as the Sunset Garden Guide. Please join us for an informal tour with coffee and light refreshments on Sunday, May 19 from 10:00 am to 1:00 pm. This tour is free to SCHS members, but a $5.00 entry fee will apply to guests. 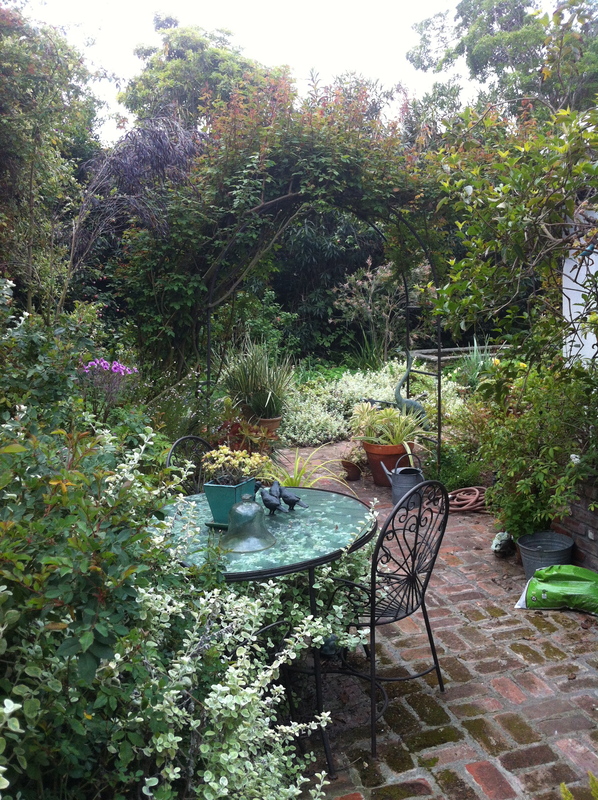 Sharon's Garden is located in the Westwood area of West Los Angeles, near UCLA. Once you sign up, we will contact you with directions.